When they launched their new top flight steak restaurant, Porter & Rye in Glasgow, owners Kained Holdings chose a natural, rustic look for the décor. However, an influx of cold air every time the door opened was definitely not on the menu. 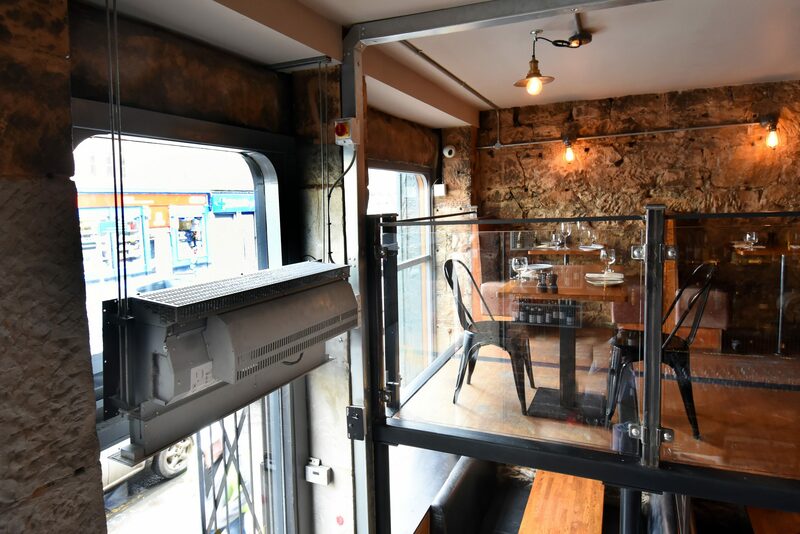 Airbloc was called in to provide a HVAC solution that would keep draughts at bay and ensure a comfortable environment for diners. Porter & Rye specialises in quality dry-aged meats and classic mixed drinks. 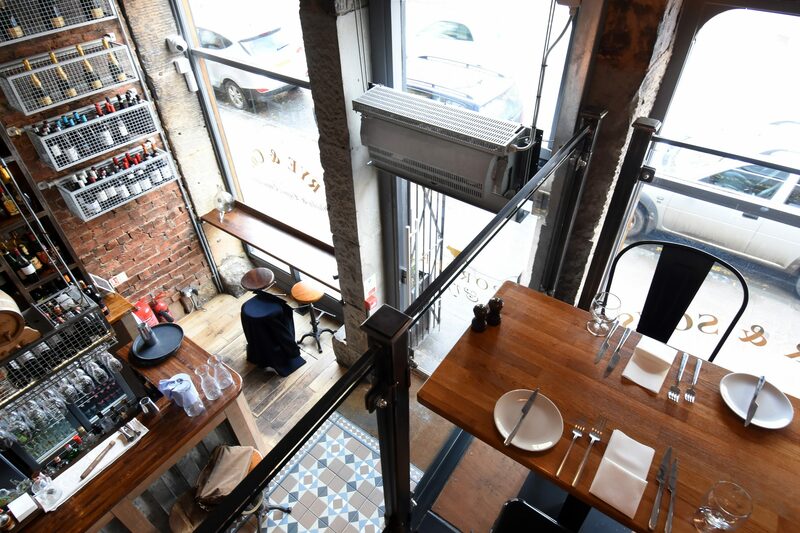 The restaurant occupies the ground floor of an elegant Georgian building on Argyle Street, close to the bustling West End, and incorporates a mezzanine. It is in an exposed location, in as much as cold air is channelled along the street from Kelvin Grove Park directly towards the entrance. Airbloc, which is part of Nortek Global HVAC, supplied an air curtain from its AC Chassis range. The electrically heated CMS1000HE12-SM unit delivers a powerful down-flow of heated air to create comfortable conditions for staff and customers. The manufacturer says is a highly energy efficient HVAC solution, typically reducing, heat loss around an open door by up to 80%. The CMS air curtain is suitable for a variety of commercial and retail applications and is intended for discreet positioning in suspended ceilings or doorway bulkheads. However, Kained Holdings – which also operates a Porter & Rye restaurant in Edinburgh and Lebowski’s bar in Glasgow – deliberately chose to have the unit in full view. The owners wanted an ‘industrial look’ to complement the overall décor, which makes a feature of the exposed stone and ironwork. Airbloc therefore supplied the unit with an unpainted outlet and grille. This not only created the aesthetic effect required, but also ensured that the flush, adjustable grille was a perfect match for the restaurant’s frame-less glass door. Mo Clark, estates director at Kained Holdings, comments: “A warm and welcoming environment is vital if we are to attract and retain customers, so we had to find a way to counteract the cold winds that we experience in the Finneston area of Glasgow. The layout of the steelwork and structure of the doorway meant that the air curtain had to be mounted at high level. This did not pose any difficulties in terms of installation, nor did it have an adverse impact on the effectiveness of the system because the CMS1000HE12-SM unit is suitable for installation at a height of four metres. For improved energy management, the air curtain was installed in conjunction with Airbloc’s class-leading SmartElec controller. Incorporating MODBUS protocol and digital sensors, the system allows closer control, enabling end users to save 40%-65% on their energy costs.